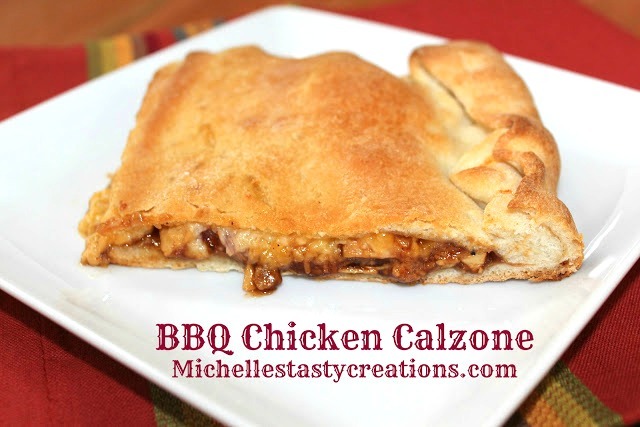 Now that I found a totally easy way to make a Calzone you guys are going to be bombarded with new and tasty recipes. 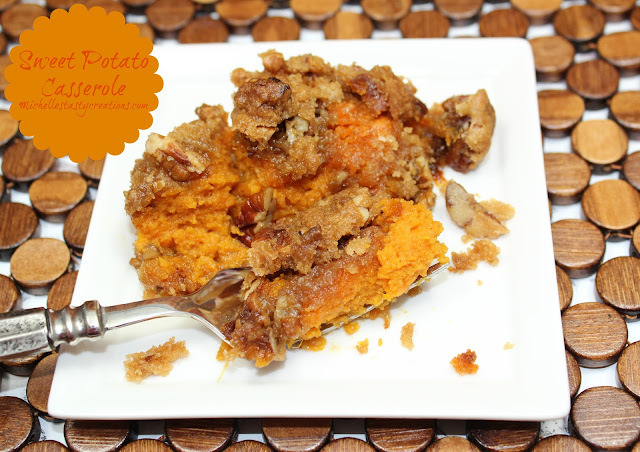 I love that this recipe only takes a few minutes to throw together and yet it tastes Amazing every time. Time to stock up on the canned pizza dough or keep some homemade in the fridge so when you get a hankering you too can make a delicious Calzone. Precook chicken, with your normal seasonings, either in the oven or in a skillet on the stove top until done. I usually cook up about 8 breasts at the beginning of the week just for these types of recipes. Preheat oven to 400 degrees. Line a baking sheet with parchment or spray with baking spray and set aside. In a small bowl mix the chicken and BBQ sauce until completely coated. On a piece of parchment roll the dough out until you have a rectangle about 12" x 16" or smaller if you like thick crust. Move dough to parchment lined baking sheet (you can use the same piece of parchment if you like) making sure the shortest side of the dough is along the longest side of the baking sheet. Fill half the dough with the chicken mixture leaving a 1" border around the chicken. Next sprinkle the onions on top of the chicken mixture then the Colby Jack cheese. Sprinkle the Parmesan over the Colby Jack and fold the unadorned half over the filled half and match up the edges as best as you can. Using your fingers push the dough up over itself and press down to seal, making a rope like edge. I start in the upper right corner where the dough is folded in half and work my way around the whole Calzone. Brush the top with a little Canola oil and make a few slits in the top for air vents. Bake for 20 - 25 minutes or until golden brown. Mine took 23 minutes. Enjoy as a lunch, dinner or snack. I love this Calzone recipe. It looks wonderful and sounds tasty. My family would love it. This looks so good! I love BBQ Chicken Pizza so this is right up my alley. 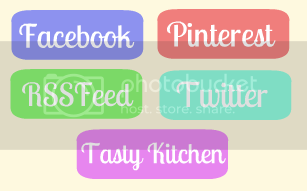 Thanks for linking up on Totally Tasty Tuesdays. Come again!